I passed this delivery truck in my neighborhood yesterday afternoon. The service is new to me, but the name is a classic. 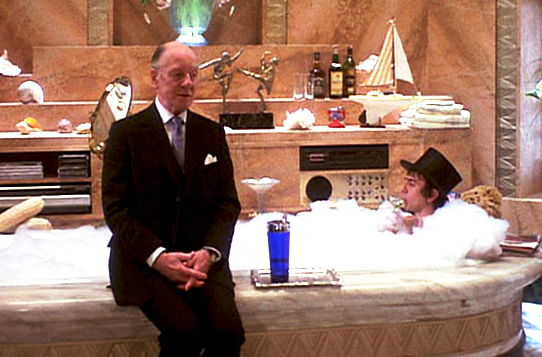 Can it really be over 30 years now — 1981 in fact — since Dudley Moore burst onto the scene in the comedy classic Arthur, with Sir John Gielgud at his side as his loyal, oh-so-proper manservant Hobson? Even he might approve of the logo’s jaunty cap and just-so tie. The driver of the delivery van was very young. 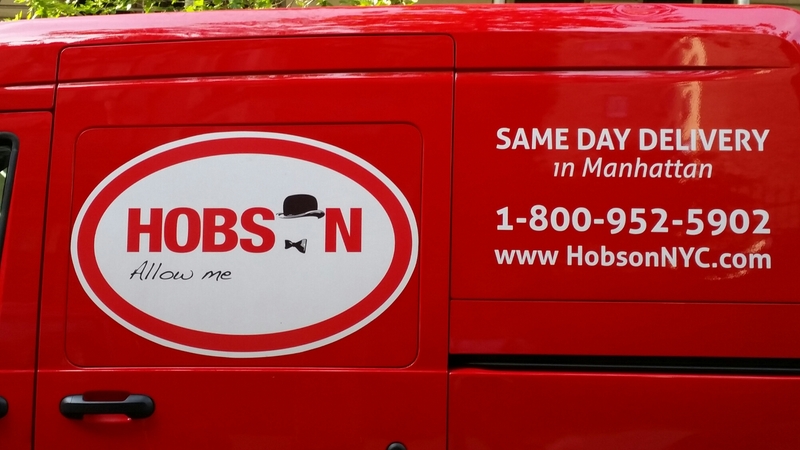 I couldn’t help but wonder — does he even understand the reference for the company name? And thinks the movie was awful. This entry was posted in Cars, Celebrities, Design, Entertainment, Humor, Life, Movies and tagged advertising, Arthur movie, Butler, cap, cars, celebrities, company name, delivery, delivery truck, design, driver, driving, Dudley Moore, entertainment, gender bending, hat, Helen Mirren, Hobson, Humor, I'll alert the media, imdb.com, life, manservant, Movies, New York City, nostalgia, origin, Russell Brand, servant, Sir John Gielgud, Upper West Side, van. Bookmark the permalink.